Empowerment Through Integration (ETI) offers programs designed to empower individual children with visual impairments, teaching them life skills that help them integrate fully into society and helping them fully realize their innate ability to become authors for change and to promote broader social recognition of the value of people with disabilities as individuals with unique viewpoints and talents, not as burdens. Alongside these experiences, parents, peers, and other community members learn to better understand and value youth with disabilities—and, together, communities gain the tools to overcome social and cultural stigmas against disability, especially in regions where youth with disabilities are severely marginalized. Through ETI, sighted participants experience a truly integrated environment and are exposed to peers with disabilities, often for the first time. These programs further provide local communities with the value-changes necessary to change the narrative surrounding disability and help build a more inclusive world. 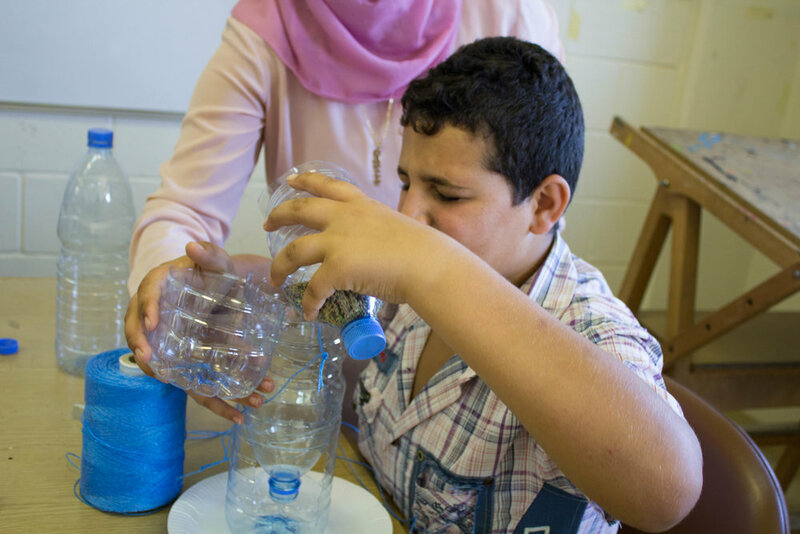 What began with Tripoli’s Camp Rafiqi in 2009 has grown into a comprehensive suite of direct-service programs to support youth, their families, and communities across Lebanon. Life Skills Programs (Intensive and Extension) train blind and visually impaired youth to use key adaptability tools and techniques to better navigate their worlds. These include Camp Rafiqi, a two-week youth summer program that also incorporates integrated activities with sighted children. Parent and Family Workshops support families and friends of Life Skills participants in empowering the blind youth in their communities. Social Project Programs enable blind and sighted youth to work side-by-side on community service projects. Community Commencement Ceremony, an annual event, brings together local and international leaders from the government, nonprofit, education, and private sectors to learn about how to implement ETI’s mission in their own environments. Volunteer Capacity Training teaches ETI volunteers and interns how to build inclusive spaces and facilitate the empowerment and inclusion of all children.